During the 2000’s it was a common practice for many landlords to put large investment into properties with the view that they could then take a step back and reap the profits from the rental income whilst house prices increased and their initial investment grew and grew. 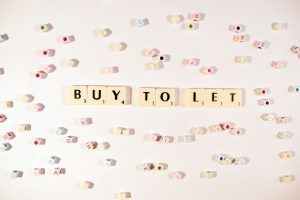 However, over recent months and years there has been a fear that with new government introduced taxes and uncertainty in the UK economy from the likes of Brexit, amongst other things, that investors are beginning to abandon the buy-to-let market with, reportedly, the number of new landlords falling by as much as 60% in the last ten years. Prior to the financial crisis of 2008 over 180,000 buy-to-let mortgages were approved by lenders for people looking to invest. However, the most recent data has shown that number may have dropped to fewer than 70,000 last year. In addition to this news, the Ministry of Housing has recently stated that as many as 3,800 houses a month are entering the mainstream market after being sold off by buy-to-let investors and landlords alike. In 2015 the Government announced restrictions on buy-to-let properties following fears that continued investment in portfolio properties was pushing property prices up for those hoping to take their first steps on the property ladder. This was done by introducing an additional 3% on stamp duty for anyone looking to buy a property that was not listed as their main residence from April 2016 onwards. With a fall of over 30,000 buy-to-let mortgages being issued between 2015 and 2017, the measures appear to have had some success from the Government’s perspective. Additionally a number of new tax rules helped to exacerbate things further. Whereas landlords could previously have allocated 10% of the tax they paid on their rental income for ‘wear and tear’ – in effect removing it – since the new measures were introduced they were only permitted to deduct the cost of replacing furniture or for any building work that was undertaken. Plus, they will soon no longer be able to deduct interest paid on their mortgage from any rental income declared. The current economic forecast has led many prospective landlords to consider whether they would be accepted for a buy-to-let mortgage, with tougher lending criteria in place to ensure investors are able to afford the mortgage they are asking for. Whereas prior to this stricter lending criteria landlords simply needed to evidence they could cover the cost of their buy-to-let mortgage with the rental income, they are now required to earn at least 25% more per calendar month than their outgoing mortgage repayment costs (in some cases this can be as much as 45%). However, both new and seasoned investors can still make money from entering the buy-to-let market. Opportunity is generally found in areas with lower house prices that retain a strong demand for rentals – and in this case many university towns and cities could be ideal. If landlords structure their investments correctly with sound and reputable tax advice from accountants, and additionally use a good mortgage broker to ensure that the market has been thoroughly researched and the best deal identified, there is a wealth of opportunity and profit to be made. However, it is only with the knowledge and expertise of these areas and a sympathetic approach to the current market that the best deal to weather most storms can usually be found. Alternatively, complete the form below and we will be in touch.